Being a world religion, Buddhism is believed to be thousands of years old and is based on the teachings of Lord Buddha. So, when the history of Buddhism is so old, it is natural to have certain places of evidence which can prove its ancient history. Bavikonda Buddhist Complex is one amongst these shreds of evidence, which showcase the rich history of Buddhism. So, how about exploring the richness of this religion at Bavikonda in the state of Andhra Pradesh, India? If you get curious about mystic places and love discovering the hidden charm of such places, then you must take a trip to Bavikonda Buddhist Complex. As the summers in and around the region of Bavikonda are hot, it is wise to avoid visiting Bavikonda during the summer season. The best time to visit Bavikonda Buddhist Complex is from November until the end of April as during the period, the climatic conditions are favourable with balmy weather. 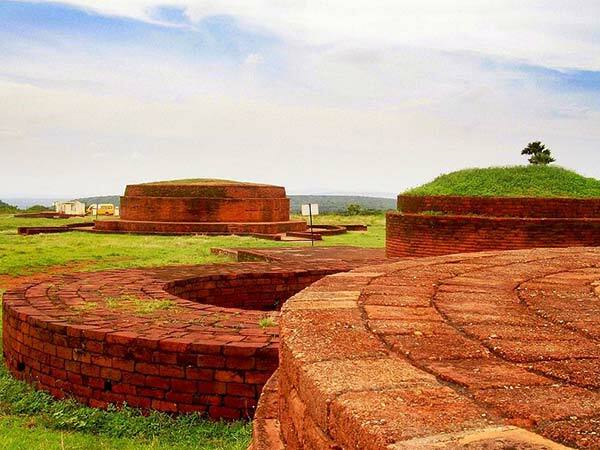 Located at an approximate distance of 16 km from Visakhapatnam, Bavikonda Buddhist Complex is situated on a hill above 130 m from the mean sea level where you can find several ancient wells, which are believed to be formed during the 3rd century BC in order to conserve rainwater. During the excavation of this Buddhist complex, several artefacts and remnants from the past related to Buddhism were found. The major remains found include inscriptions, coins, tiles, pottery and a piece of bone in an urn, which is believed to be one of the remains of the Lord Buddha. Today, it has become an offbeat destination for history lovers. However, several trekkers, too, are attracted to it due to the presence of several trekking trails leading to the top of the hill. Being a large Buddhist complex, the archaeological site of Bavikonda is home to a monastery, stupas and ancient wells and is popular mostly amongst history buffs. You can also visit the nearby sites of Thotlakonda and Pavurallakonda which are other Buddhist complexes in Andhra Pradesh excavated by the state archaeological department. Apart from exploring the beauty of its wells and Buddhist remains, you can also explore the green surroundings and spend a peaceful time amidst its peaceful environment. By Air: You can take a flight to Visakhapatnam Airport and then from there you can hire a cab to Bavikonda, which is located at a distance of around 35 km. By Rail: The nearest railhead is at Visakhapatnam, which is connected to all major cities and towns. Once you have reached Visakhapatnam railway station, you can hire a cab to Bavikonda. By Road: Bavikonda Buddhist Complex is easily accessible by road.